February 8, 2018—Contrary to popular belief, commodity prices are not the best predictor of the future exchange rate for the Canadian dollar, according to new research from the C.D. Howe Institute. In “Understanding the Volatility of the Canadian Exchange Rate”, authors Martin Eichenbaum, Benjamin K. Johannsen, and Sergio Rebelo find the current real exchange rate, (ie., minus inflation) is more useful than commodity prices for forecasting changes in the Canada/US nominal exchange rate. In the report, the authors examine the historical determinants of the Canadian/US dollar nominal exchange rate and consider whether they can be used to accurately forecast long-run future rates. 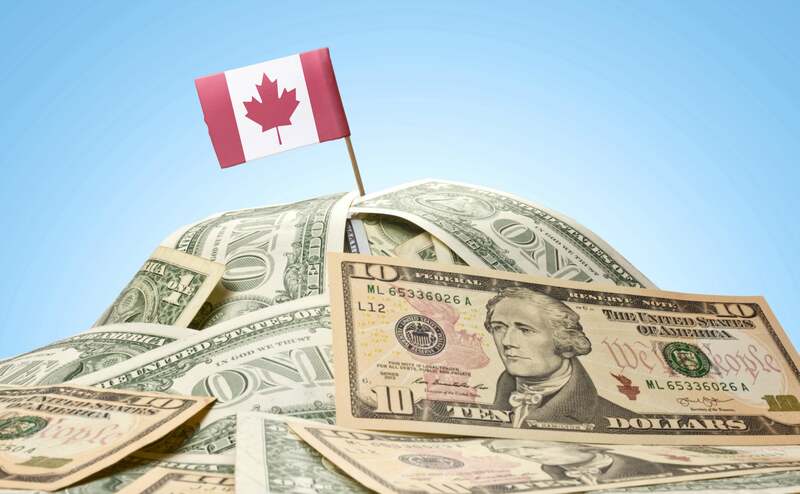 The author’s find Canada’s real exchange rate with the United States is mean-reverting – that is, when the real exchange rate is high, it tends to fall to its long-run average. Second, the current real exchange rate displays a tight negative correlation with future values of the Canadian dollar relative to the US dollar. The explanation for the first fact is that the shocks driving the real exchange rate are not permanent in nature. A non-exhaustive list of such shocks includes movements in commodity prices, changes in government spending and temporary shocks to the US economy. The explanation for the second fact is that Canadian and US monetary policies are similar in their broad contours in that both countries use a short-term interest rate to control inflation and do not explicitly manage the exchange rate. As a result, there have not been persistent changes in the relative price levels of the two countries. A potential cost of this choice is that Canada’s real exchange rate – the relative cost of a typical bundle of consumer goods in Canada and its major trading partners – is highly volatile. A benefit is that consumers and firms can mostly avoid the type of potentially costly changes in nominal prices and wages that would be required if the nominal exchange rate did not adjust in a flexible manner. Evaluating the costs and benefits of those tradeoffs should play an important role in the process leading to the Bank of Canada’s next five-year agreement with the government, conclude the authors.